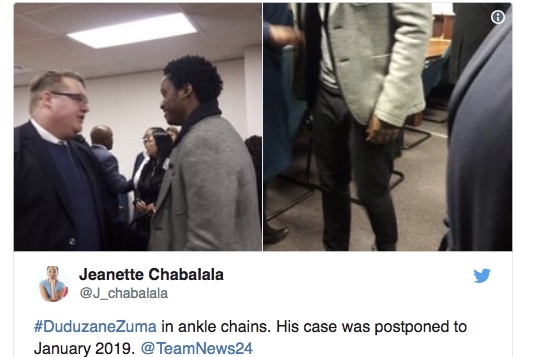 BACK TO: "Video: Duduzane Zuma Is A Free Man... For Now"
Newsfeeds24 is an independent premier worldwide news source. Offering a rich and wide coverage of breaking news reports from all areas of the globe. Including World, Trending, Sports, Weather, Business, Financial and Political News, updated top stories on every breaking news event. Newsfeeds24 offers in-depth coverage of all stories and related footage from visual, audio, recordings, images or clips. With all this, Newsfeeds24 brings you cutting edge news featuring the latest sourceable information in one place. Newsfeeds24 Top stories from across the world, as it happens.